The adolescent years, from ages 12-18, bring lots of changes in your child’s hormones, hairstyles and heartaches. They also mark an important period in dental health. Many teens get braces, and they form habits they will carry with them for the rest of their lives. Ensuring good dental health is one of those habits that is part of your job as a Portland parent — right up there with ferrying those teens to escape rooms, Ground Kontrol Arcade or the Saturday Market. Making your teen attend regular dental health checkups and getting them braces if necessary gives them a good start on strong lifelong dental hygiene habits. Here’s what you should do to encourage them to maintain their dazzling smiles. When your kids are young, it’s easy to brush their teeth for them or even remind them they need to brush their teeth. But as they get older, teens take over their own oral hygiene. You should applaud them for flexing this newfound independence. This is a part of growing up. Still, you should keep modeling good habits so they continue to understand oral health is a lifelong undertaking, not just something they can abandon as they grow older. Teens like to indulge. Steer them away from sugary drinks, such as soda, which can lead to cavities, and explain to them the importance of refueling with water. Don’t just encourage these healthy habits, though. Demonstrate them yourself so your kids know you believe in the advice you give them. This can also help you avoid the urge to nag them, which only serves to annoy most teens. There’s no one perfect age to get them — some kids may get braces as early as elementary school, while others don’t get them till high school. Still, most children get orthodontic treatment during the teenage years, as their teeth settle into their final arrangements. If you have not already spoken to an orthodontist about your child’s teeth by the time they hit their early teens, you should do it now. The orthodontics industry has made great strides in delivering beautiful smiles since you were a kid! 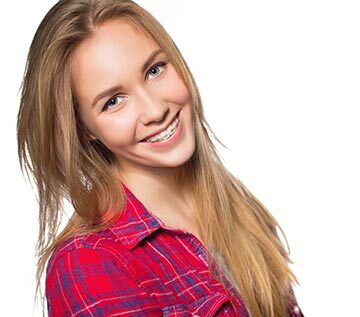 Many of the teens who visit our office need braces, though some receive other treatments. 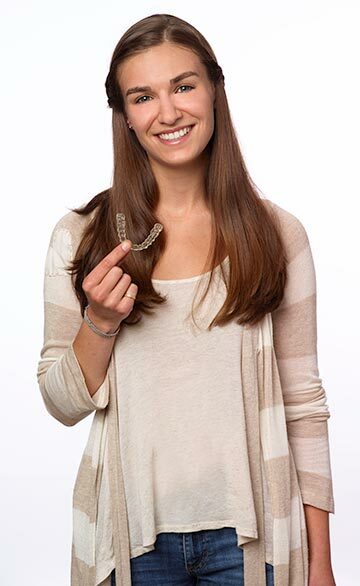 Our Dr. Paul can discuss the many options with you, including clear braces and Invisalign. Your child may bristle at the thought of braces, even though many of their friends probably have them. Listen to their concerns, and don’t belittle them. You may consider doing something special before the braces go on, such as throwing a “Braces Sendoff” when they can eat all the foods forbidden when they have braces or getting them together with friends who already have braces. Six-month checkups play an important role in long-term dental hygiene. That’s how your dentist knows whether you are developing cavities or if you need sealants, which can protect teeth from developing cavities. These baseline visits should remain a regular part of your child’s routine for as long as they live with you. Encourage them to keep these up after they move out or go to college, too, so that their dental health does not slip as they age. We often hear people ask, “Where can I find a dentist for my teen in Portland?” Our practice has two excellent doctors who love our teenage patients. They can talk with your kids about the advantages of keeping up with dental hygiene and how many problems this will eliminate down the road. They can also discuss Instagram, their love of Blue Star Doughnuts and Taylor Swift’s latest songs, if your teen is so inclined. So give us a call today to schedule an appointment for your teen.